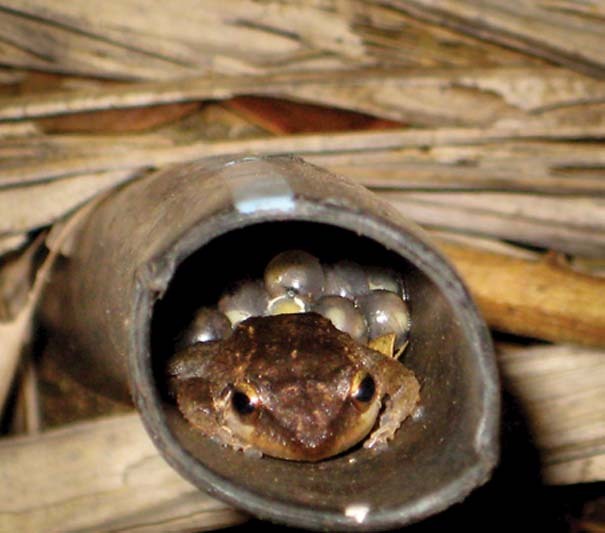 On the evening of July 24, a Maui resident living near the Five Corners area of Haiku heard something she did not recognize as a normal sound for her neighborhood: the two-note call of invasive coqui frogs. “I was in shock,” she said. “All the sudden, there were five to 10 coqui frogs near my house.” She reported the frogs to the Maui Invasive Species Committee and worked with neighbors to pinpoint the frogs’ location in a gulch adjacent to a nearby pasture. Coqui frogs hatch out from their eggs as tiny froglets, unlike other frogs that go through a tadpole stage that requires standing water. Coqui are an introduced species to the Hawaiian Islands. Without predators like snakes that keep them in check in Puerto Rico, they reach unnaturally high densities that are two to three times higher here in Hawaii than in their native habitat. In turn, they impact insect populations and nutrient cycling. But their mating call is what drives control efforts — males call “co-qui” from dawn until dusk in a piercing cacophony that disrupts sleep. Unfortunately, the Five Corners situation is not unique. Even in the early days of coqui control efforts on Maui, roadside dumping factored into the amphibians’ spread. A vehicle abandoned in Maliko Gulch was the likely vector of frogs to a salvage yard in Haiku. As the coqui population increases on Maui, so do the instances of coqui moving in green waste and trash. In the last year, illegal dumping has been the vector for at least five introductions of coqui that MISC is aware of. More often than not, the frog-infested trash is dumped in gulches — a difficult and dangerous place for crews to access and remove the noisy invaders. It’s not just coqui frogs hitchhiking in trash and yard waste. 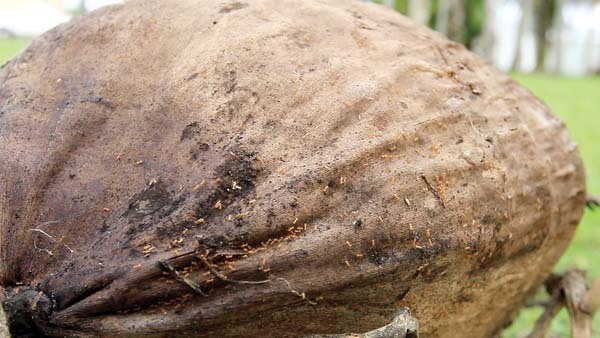 On Hawaii island and in Tahiti and Guam, little fire ants have been spread through green waste. On Maui, MISC has worked with the owners of properties infested by little fire ants to address this threat, but undetected populations of pest ants most likely still exist. 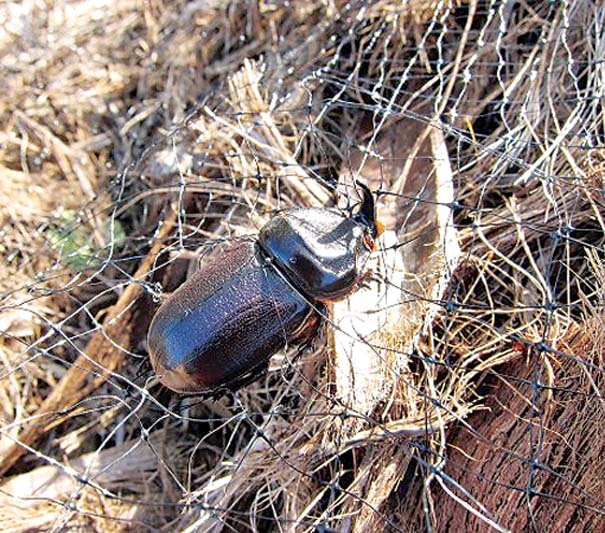 On Oahu, the larvae and eggs of the palm-killing coconut rhinoceros beetle develop in coconut mulch, so preventing the spread of green waste is the most important task for crews working on the CRB Response Team. Coconut rhinoceros beetles are killing coconuts and other palms on Oahu and have not yet been reported from other islands. If yard clippings and mulch are properly handled, green waste is less of a threat. The temperature of a managed compost pile reaches 150 degrees Fahrenheit, enough to kill weed seeds and many invasive pests and eggs. Additionally, bringing green waste to a central location allows for monitoring. Green waste sites on Maui are regularly surveyed for the presence of little fire ants. People who are tempted to dump their rubbish illegally may not realize that the impacts of their actions can be catastrophic. Often, illegal dumping attracts more dumping. The tangle of trash provides ample sites for pests to hide out and avoid treatment. You can help. Properly dispose of waste at the landfill, green waste facility or compost it on-site. Report illegal dumping to the Maui Police Department at (808) 244-6400, and to the state of Hawaii Department of Health at (808) 984-8230. * Lissa Strohecker is the public relations and education specialist for the Maui Invasive Species Committee. She holds a biological sciences degree from Montana State University. 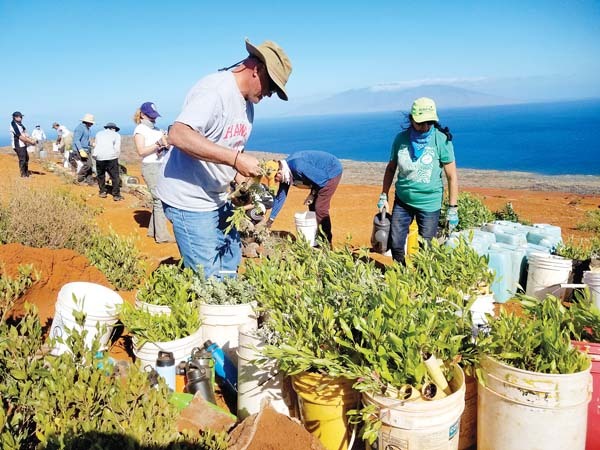 “Kia’i Moku,” “Guarding the Island,” is prepared by the Maui Invasive Species Committee to provide information on protecting the island from invasive plants and animals that can threaten the island’s environment, economy and quality of life.